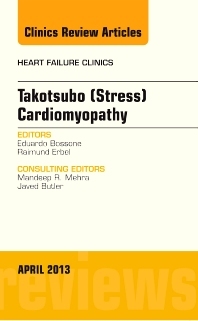 This issue of Heart Failure Clinics covers stress (takotsubo) cardiomyopathy. Expert authors review the most current information available about imaging modalities, clinical profile, natural history, management, and different types of stress cardiomyopathy. Keep up-to-the-minute with the latest developments in diagnosing and managing this condition.